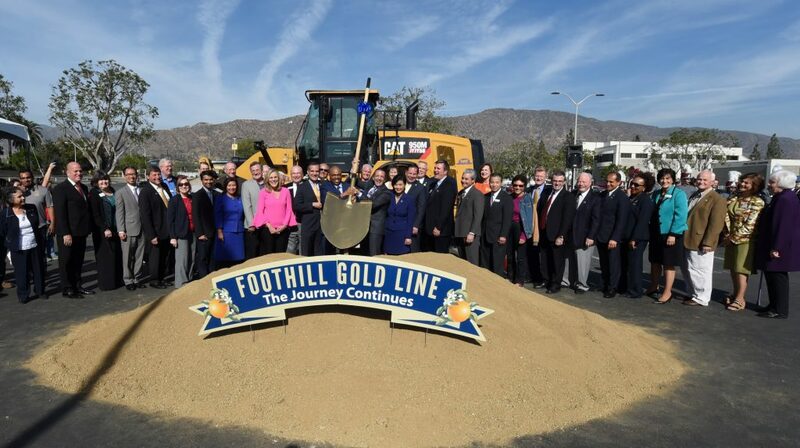 The newly formed Construction Authority completed the Los Angeles to Pasadena segment in just under three years, and the 13.7-mile line opened in 2003 on time and under budget. The same legislation that created the Construction Authority also dictated its role to plan and construct any “fixed mass transit guide way eastward to Claremont.” The planning for the line was later extended to terminate at Montclair’s Transcenter, a regional transit hub for numerous bus and rail operations serving San Bernardino County and the Inland Empire. Once construction is complete, the Construction Authority transfers the project to Metro to operate. This relationship is formalized in a Master Cooperative Agreement approved by both agencies’ boards of directors. Click on the following links to view the latest agency budget and Financial Plan. 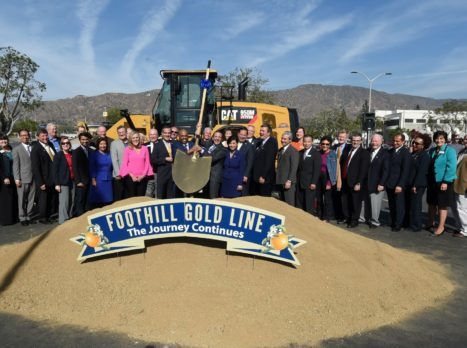 The Metro Gold Line Foothill Extension Construction Authority (Foothill Gold Line) is governed by an eight-member Board of Directors. In addition, cities from South Pasadena to Ontario are represented on two additional boards to the Construction Authority–the Joint Powers Authority (comprised of elected official representatives appointed by each corridor city) and Technical Advisory Committee (comprised of city managers or their staff appointees). To Report Fraud: Contact the Office of the California State Attorney General hotline at (800) 952-5665 or the Metro Office of the Inspector General (OIG) hotline at (800) 221-1142.